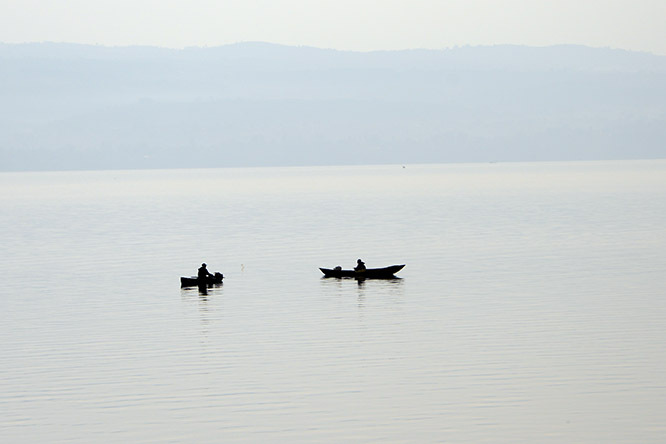 From Goma I took a two and a half hour boat ride to the Congo’s southern region of Lake Kivu. 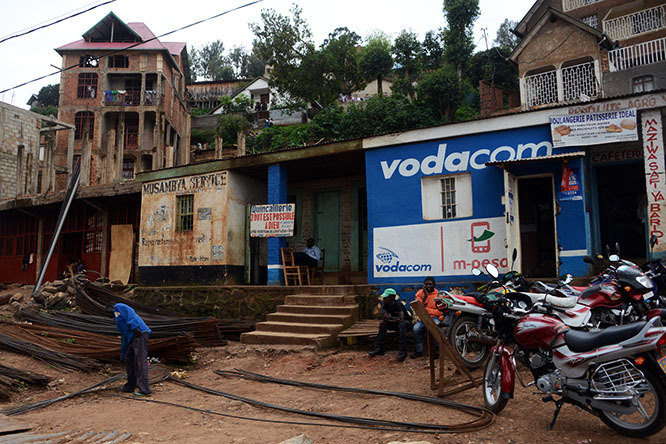 Despite this city being built along the same lake as Goma, Bukavu is actually pretty different. 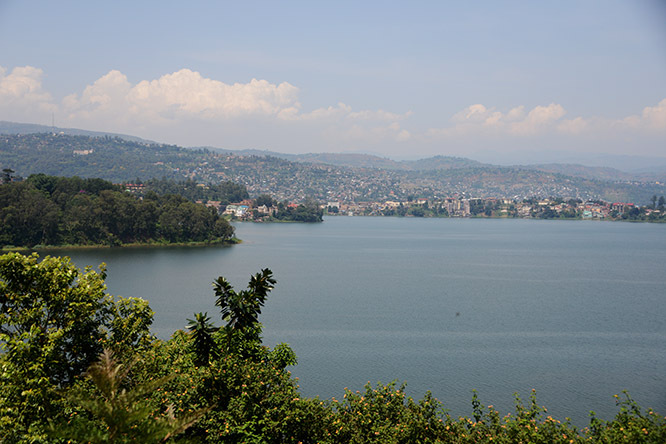 From a distance, Bukavu looks incredibly beautiful. Colorful buildings are built along the calm shores of Lake Kivu, while small boats and fishermen are scattered about the lake. This is a place that without all its past troubles, would be a major destination in the world. 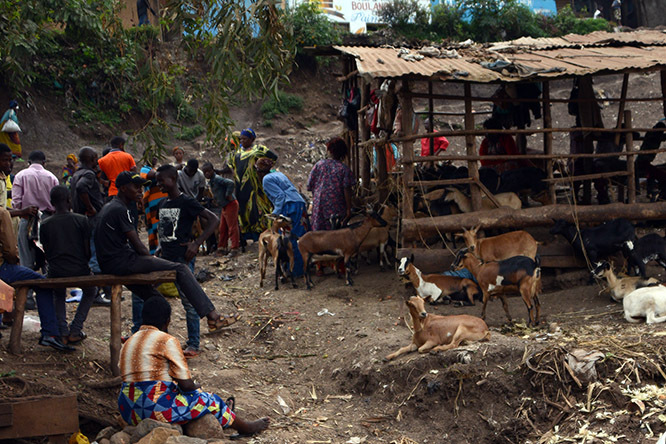 Since I hear so much about Goma, my expectation was that it was much bigger than Bukavu. My first impressions of the city when I first stepped off into the port was that it looked like it could be comparable to Goma in size. I asked a local which was bigger, and he answered, “Bukavu! 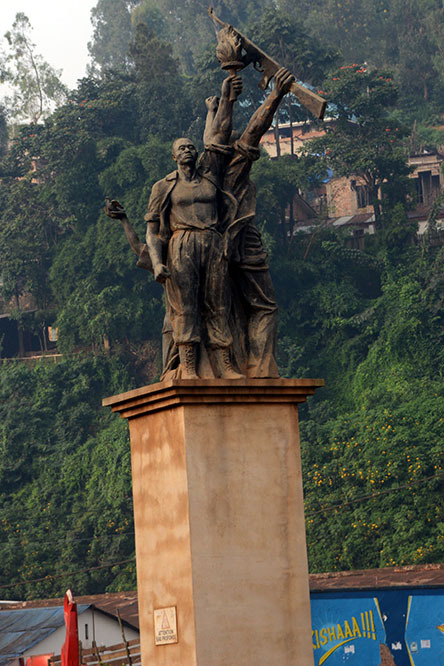 Goma is nothing.” There was a large cathedral I saw in Bukavu and this independence memorial near the city center, but beyond that I’m not too sure of many points of interest here. Things weren’t too impressive honestly, they city looked no better than Goma, and probably is even worse. There are a few luxury hotels here even by western standards, but it seemed the most interesting aspect of the city is the way of life here. 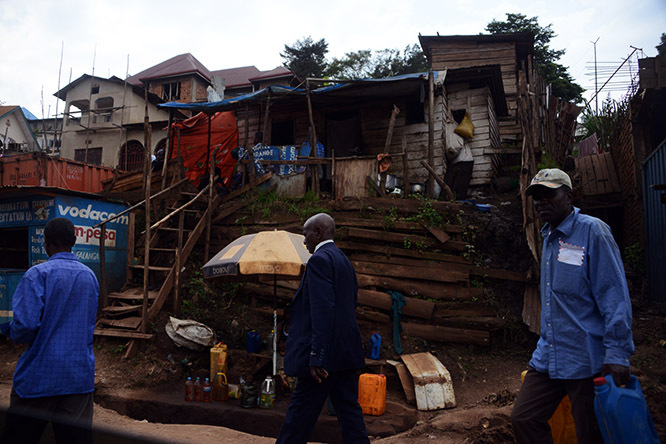 Here are two more random street shots I took of Bukavu before heading out. I did stay at possibly the nicest hotel in the entire country and regret not taking any photos of it. It was a popular place with foreigners and had an excellent restaurant, rooms, and service. 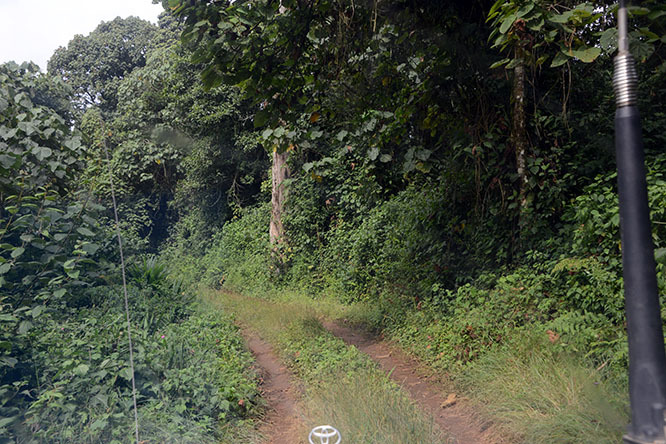 From Bukavu, I did a little road trip to Kahuzi Bieza National Park. This is much less visited than Virunga as it’s a bit more remote. I have to admit, if you’re only to visit one national park in this region go to Virunga! 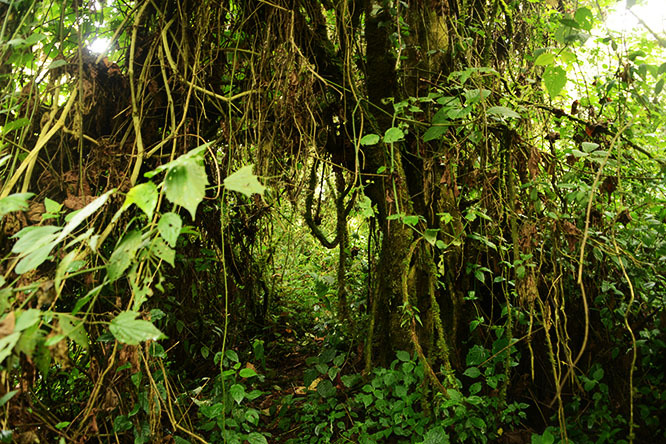 The combination of the volcanoes and gorillas is hard to beat, but Kahuzi Bieza is the only place in the world where you can find the eastern lowland gorillas, and the massive size of the park makes it one of the last great forests in the world. I started my visit to Kahuzi Bieza by stopping by in the ranger station. They had some bones on display of some of the animals that live here. 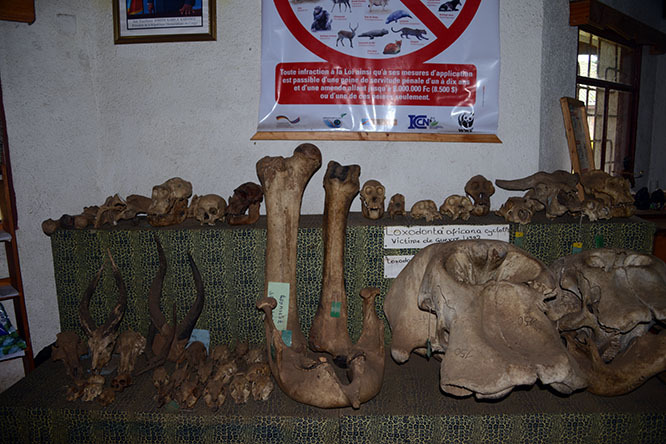 Some of them were pretty obvious, like the huge elephant bones and skulls, while others were smaller mammals I had never heard of. 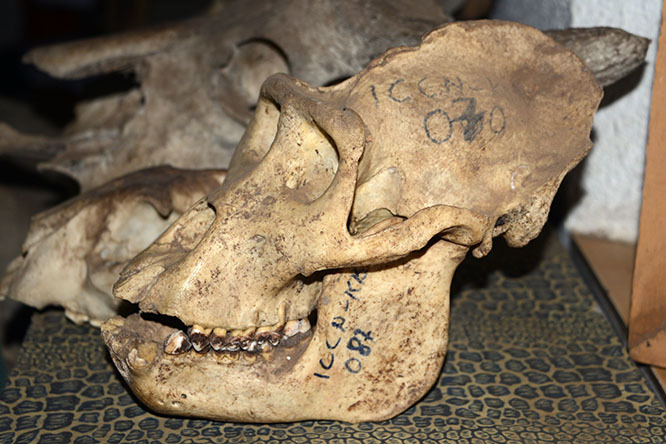 The skull below is of an Eastern Lowland Gorilla. At the station I got another brief of how to act around the lowland gorillas and some history of the area. Once the brief was done, I took an incredibly bumpy ride along the trail below before entering the forest on foot. Since it was winter back home, I refused to wear pants in the Congo so I could enjoy this escape from coldness. The rangers I was with insisted I wear pants because of the bugs. Not only did I not have bug spray, but I hadn’t even brought pants with me to Africa. 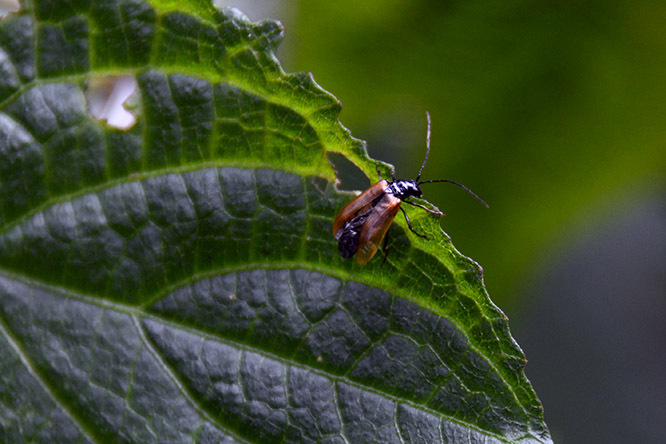 I entered the forest figuring I’d leave with multiple Congolese diseases but the bugs weren’t actually that bad. 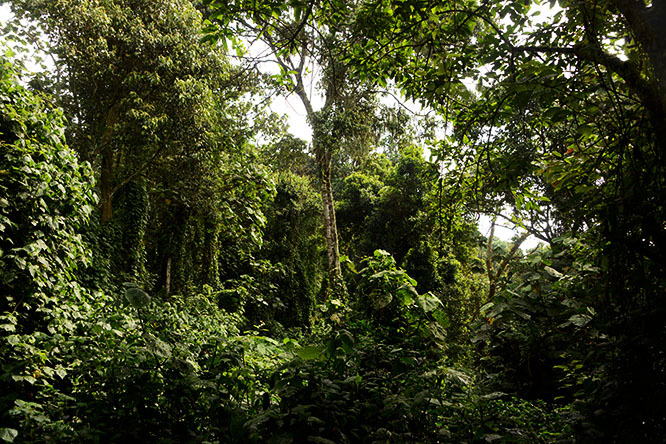 These surrounding photos show some of the first sights I saw of the Congo rainforest. 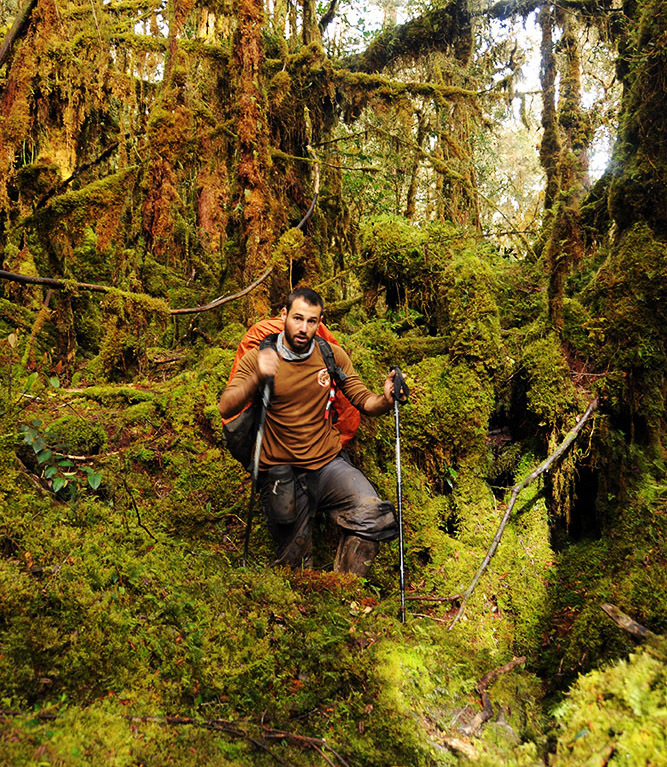 One of three true tropical wildernesses left in the world. The bugs weren’t too bad like I said, and guys like this one above I didn’t mind since they left me alone. 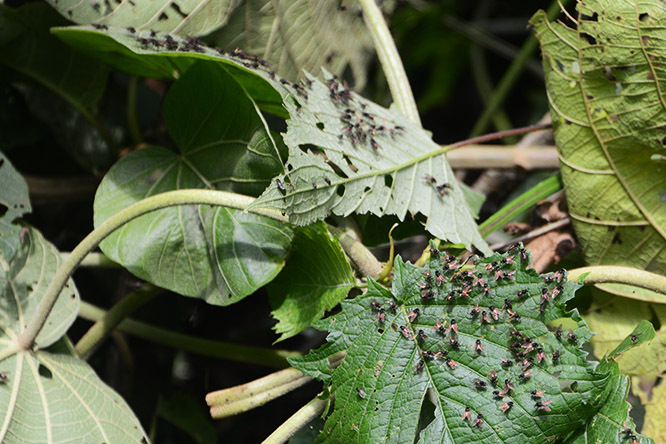 The flies below were pretty gross though. Giant swarms of them would come by in small clouds. There were a few annoying gnats and mosquitoes, and pants would have helped but it was nothing overwhelming that ruined the experience. Maybe next time I’ll at least bring bug spray though. 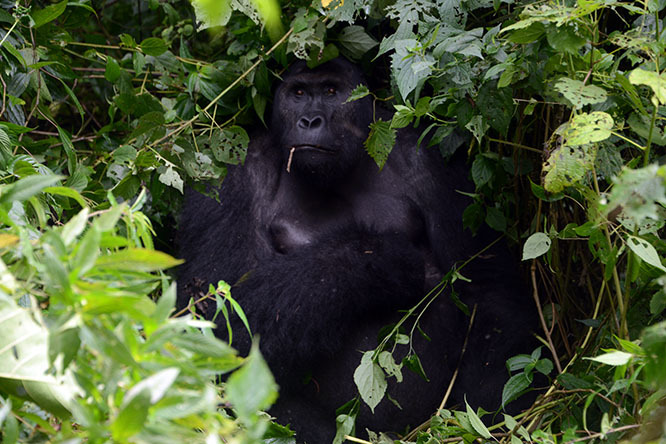 We hiked less than an hour through some very dense terrain before coming across a troop of Lowland Gorillas. There were about dozen of them lounging around the forest floor. A few others were in the trees and too far to see well. I was lucky the main family was on the ground and in an open area where they were easy to see. This juvenile gorilla was pretty playful and running around tagging the rest of his family. At one point he hit one of them and briefly ran directly towards me. I thought I was next and so did the rangers by their reaction, but he stopped and ran back to his family at the last second! This photo shows the alpha male of the group. This giant gorilla was off by himself having a nice lunch in a small grove. I was a bit intimidated by him because of his massive size and looks, but he didn’t seem too concerned about my presence. 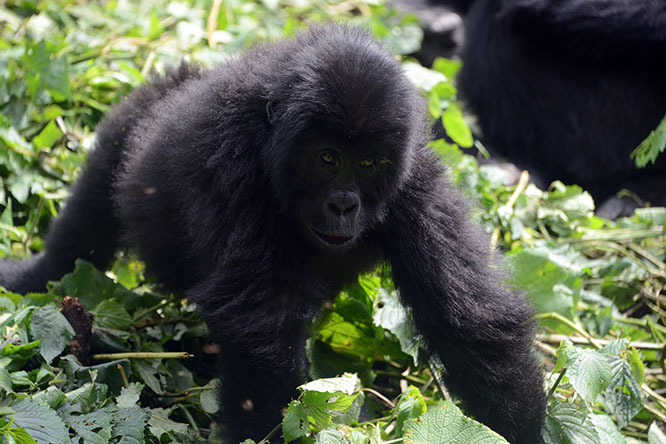 Eastern lowland gorillas are the largest of the gorilla family and all primates. That means that this guy in the photograph above is as big as they get! 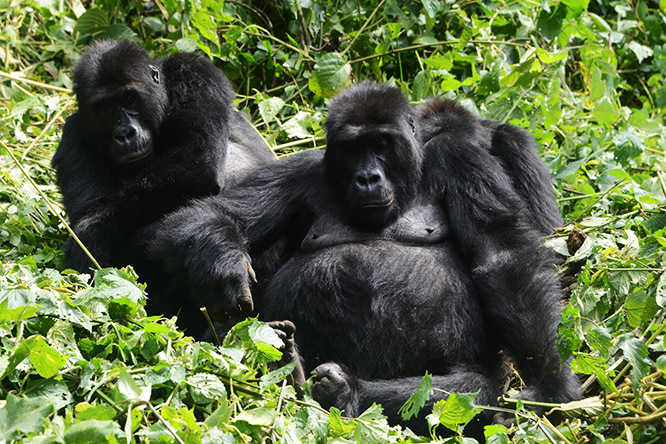 Eastern lowland gorillas can weigh about 550 lbs (250kg) once they reach full size. Lastly, I caught this baby gorilla hanging out with his mother. 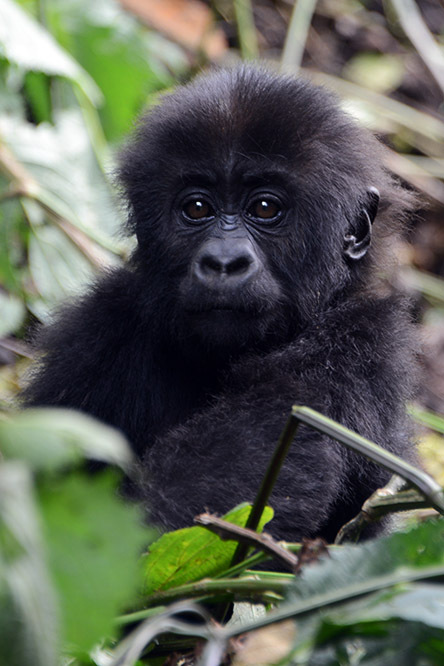 Baby lowland gorillas start walking after 35 weeks, and I was told by the rangers that this guy was nine months old. He’ll hang out with his mom for about three more years and mature when he is about 12.